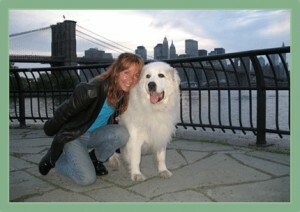 Kathryn (Seng) Gurland, LCSW, is a cancer navigation consultant in New York City. After several years of clinical work as a medical social worker and private psychotherapist, specializing in psycho-oncology, pain and palliative care and end-of-life-care, Kathy recently launched a pioneer private practice – PEG’S Group, LLC. PEG’S Group was conceived and designed by Kathy to bridge the gaps and to meet the vital needs of the cancer community that the health care system is unable to provide at this time. Having lost two sisters to cancer also motivated Kathy even further to develop this private consulting group of cancer navigators. The company name, PEG’S Group, originated out of her sister’s Peg’s name: Personal, Education, Guidance and Support. Kathy holds affiliations with the National Association of Social Workers, Association of Oncology Social Work, Actors’ Equity Association and the Screen Actors Guild. Biography and photo courtesy of Kathryn Seng Gurland.